I’m not ready to start counting down until Christmas but I am ready to start thinking about gift ideas. 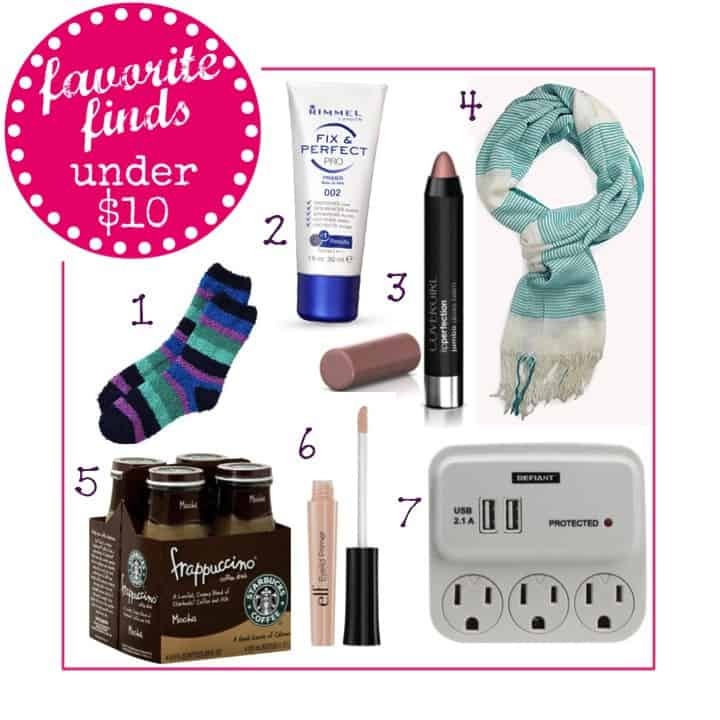 Here are a few of my favorite finds under $10 that are perfect stocking stuffers. 1. Cozy socks – I love soft and warm socks this time of year. 2. Fix & Perfect Pro Primer – I don’t wear foundation but I use this everyday. It leaves my skin feeling so soft!! 3. Lip Perfection Jumbo Gloss Balm – I’m not a huge fan of lipstick so this is the perfect solution. I put this on and then apply my EOS lip balm and I love how it looks. 4. Striped Scarf – I’m a little obsessed with teal and stripes right now! 5. Starbucks Frappaccino 4 pack – I have been living off of these. Perfect for when I don’t have time to stop at Starbucks in the morning before work. 6. Eyelid Primer – My friend gave this to me for my birthday and it makes such a huge difference. My eyeshadow is more noticeable and lasts so much longer. 7. USB and 3 Outlet Surge Protector – I’m sure I don’t even have to say why I love this! What are a few of your favorite finds under $10? Oh man, those 4 packs of Starbucks…I’m so addicted. And you’re the one to blame!!! You started it in Ohio!! 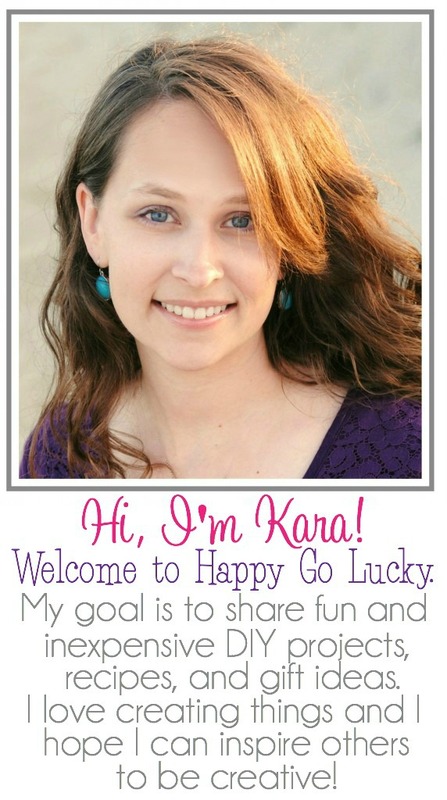 amy @ one artsy mama recently posted…Fashion Friday: Accessories!